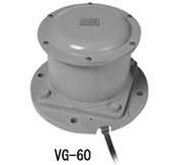 In 1988, DOLD developed their first emergency stop module BN 5983 for man-machine protection. 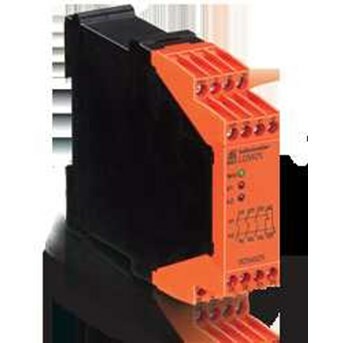 Conventional contactor controls with their expensive interconnection wiring could be replaced with this product and a lot of space could be saved in the control cabinet. 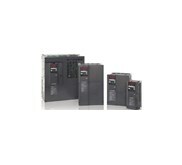 With current emergency stop modules featuring a width of only 17.5 mm and a depth of only 70 mm, DOLD has again set new standards for safety relay modules. In large installations with multiple emergency-stop buttons, it is useful to quickly know which emergency-stop button has been operated to minimise downtimes. For this application DOLD offer specific emergency stop button monitors with indication and bus outputs. PT. HIKMAH JAYA SENTOSA adalah salah satu perusahaan penyedia komponen dan perangkat otomatisasi, dengan principal utama berada di Jepang. Perusahaan kami menawarkan harga yang kompetitif kepada seluruh pelanggan kami. Kami bangga dapat memberikan kepuasan kepada para pelanggan kami. Misi Kami PT. Hikmah Jaya Sentosa berusaha untuk memberikan pelayanan terbaik kepada pelanggan. Adapun merk-merk yang dapat kami supply, sebagai berikut : Hydraulic & Pneumatic: Atos, Rexroth, Nachi, Yuken, Daikin, SMC, Airtac dll Elektrik : Mitsubishi, Yaskawa, Toshiba, Hitachi, ABB, Omron, Delta, Scheiner, Allen Bradley, Siemens, GE Fanuc dll HMI : Proface, Mitsubishi, Allen Bradley, Siemens dll Alat Ukur : Imada, Mitutoyo, AIkoh, Shimpo dll Valve : YTC, Power Genex, Taiyo dll Gas Spring : Stabilus, Bansbach dll.